earned her the nickname of "the crazy nest lady. 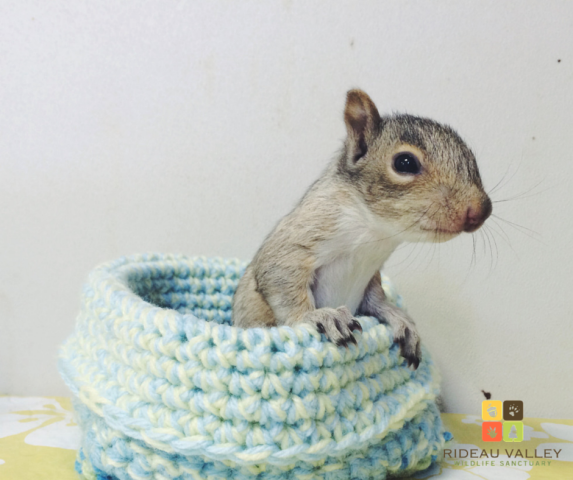 Deline-Ray has no idea how many of these little nests she has knitted and crocheted. She stopped counting after the first two hundred. But she keeps making them and that's what really counts. Her nests are helping animals in wildlife refuges in Canada, the United States, Australia, Ireland, and the United Kingdom. They are a great alternative to the plain boxes and other cold, uninviting receptacles that have traditionally been used to hold the animals. It all started in 2013 when she was stuck at home with a broken hand and realized that she was just spending way too much time on the Internet. 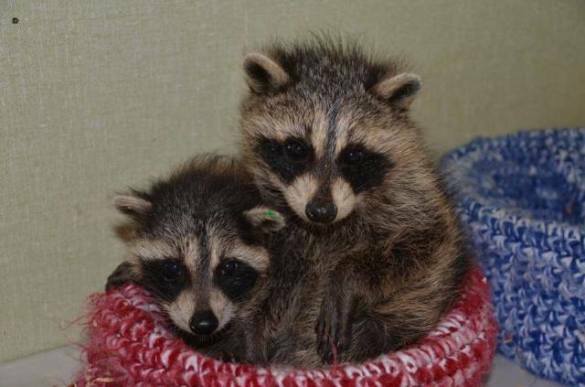 It was while on the web that she discovered a woman in the U.S. who was making nests for wildlife rescues. It got her thinking and one thing led to another. She designed and redesigned nests to have flat bottoms and different sizes. 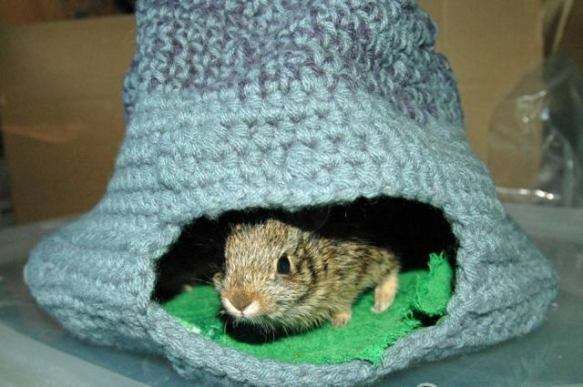 Eventually she added nests that were designed more for burrowing animals. From there it just kept growing. Deline-Ray doesn't do this job all by herself. Others are knitting and crocheting up a storm as well. 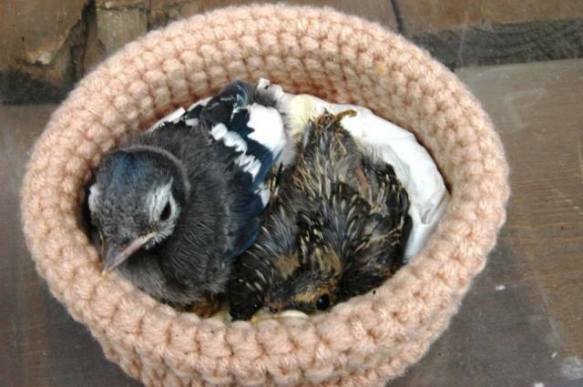 On the Wildlife Rescue Nests Facebook page she provides a list of rescue organizations in need of nests, as well as the patterns for knitting and crocheting the nests. This is a great way for crafty folk to use up all their leftover bits of yarn that seem to be mating and spawning in their drawers. The Facebook page also provides many adorable photos of rescue animals, both with and without the nests. In fact, these photos are all the Deline-Ray requests in return for the donations. She is delighted to have found such a worthwhile hobby helping the animals she has always loved so much. There are some 250 nest-builders working with Deline-Ray these days. 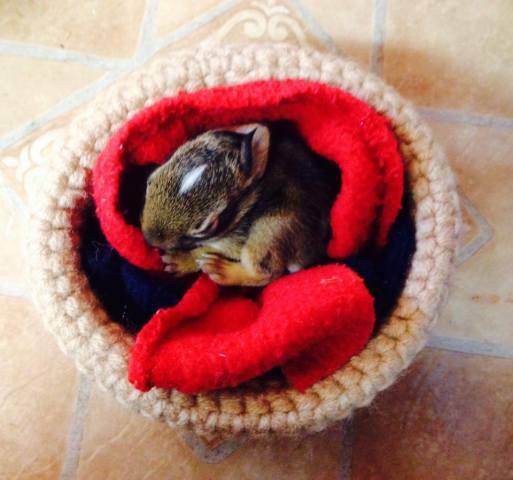 If you want to help make nests for sick or injured wildlife, check out the Wildlife Rescue Nests Facebook page by clicking here. Biologists Take Issue With Animal Emojis?